Our nerves control every single cell of our body. Any ‘stress’ in our spine which presents as a misalignment or ‘subluxation’, can negatively affect the function of our nerves, causing us pain, symptoms, and ill health. Chiropractic helps the body function the way it was designed! What do we mean by that? Consider how many times in your life you had to remind your body to breathe, pump blood, or digest food. These functions of life happen automatically. With over 75 trillion cells in our bodies we rely on our brain and nervous system to transmit billions of messages to and from our cells every second. Let’s now imagine that your nerves were prevented from sending these messages to their target cells. Do you think your body would be functioning at its best? Do you think your health would be affected somehow? 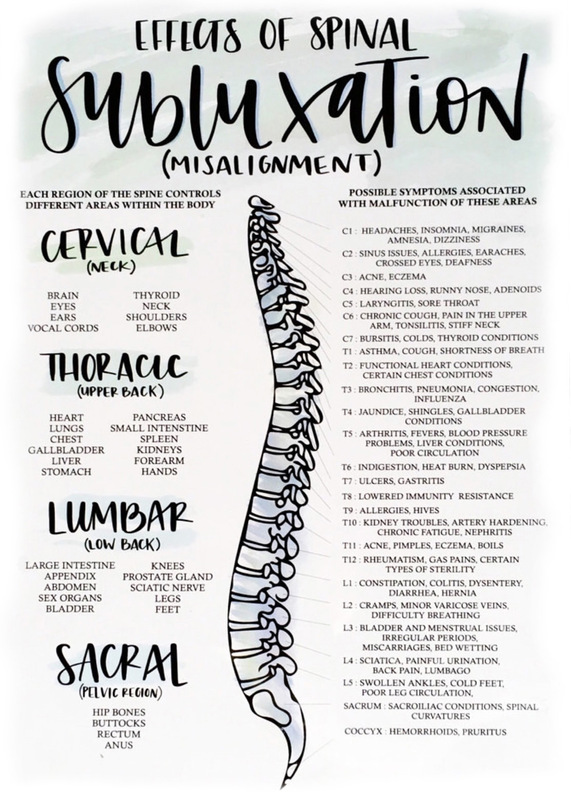 From a Chiropractic perspective, a misaligned spine can place pressure on those nerves and blocks the messages going from your brain to your body. This can cause a vast array of symptoms, health issues, and ill health. So how can chiropractic help me? With the gentle, targeted, and effective Chiropractic adjustment, your chiropractor will aim to relieve the nerve from pressure whilst realigning your spine. This will help to reduce your initial symptoms, but also improve the overall function of your nervous system and body, hence improving your overall health and wellbeing.